This is the sequel to the New York Times best-selling Wool series. 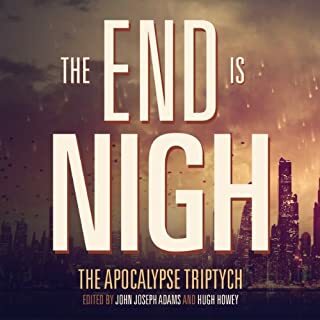 It combines the three Shift books into a single audiobook in order to save the listener a few bucks. The saga concludes with Dust, which will be available in late 2013. At almost the same moment in humanity's broad history, mankind had discovered the means for bringing about its utter downfall - and the ability to forget it ever happened. 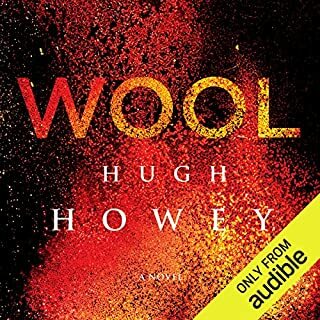 Author Hugh Howey does a masterful job slowly revealing how his unique dystopian world functions during the first book of the series, Wool, but he never touches on the subject of how society morphed into that state. Well that is exactly what he does in Shift, as some much needed context is added to explain why things are the way they are. Since he jumps back in time to our contemporary world he needs to introduce a whole new set of characters, which is initially off-putting, but it eventually all comes together and sets things up for an excellent finale to the series. Once again the facts are doled out in small bits and pieces over time, which had me initially feeling impatient with the pacing of the story, but it started to flow once I embraced the manner in which the story is told. Covering the hundreds of years of time needed to catch up to the events of Wool the story bounces around in time, and from one character to another, but it all eventually weaves together nicely. When the story catches up to the events of the first book the bigger picture is a lot clearer but the end game still remains unknown. So you will learn how the world changed, and even why it was changed, but you will be left in the dark regarding some key characters and an obvious hidden agenda. This becomes the main draw for the final book, Dust, which has the characters from both of the first two books working diligently to expose that agenda and come out on top. If you enjoyed Wool and want more of the "how and why" behind the story, then this book is for you. If you just want the story to move forward so you can find out what happens to your favorite characters from book one, then prepare to be disappointed as that won't happen here. Still, I think this is a worthy detour that provides some solid world building which will leave you hungry for finding out how things eventually turn out. The book is narrated by Tim Gerard Reynolds and that is always a good thing. Tim is one of the best narrators around and he does his usual stellar job in bringing this book to life. Event though Tim didn't narrate the first book these are all new characters so the switch in narrators was not upsetting in any way. 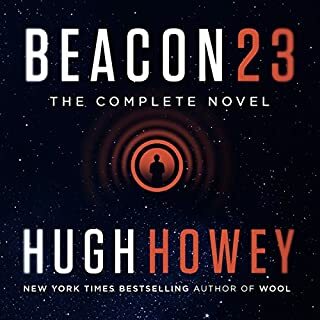 Author Hugh Howey released his first book in 2009. He has released many novels and novellas since; he is very prolific! Most of his books are of the dystopian Sci-fi variety as is all of The Silo saga. Like Wool before it Shift is broken into multiple books. Shift contains three books, but it is best viewed as the Silo Saga Books 6 - 8 while Wool was the Silo Saga Books 1 - 5. 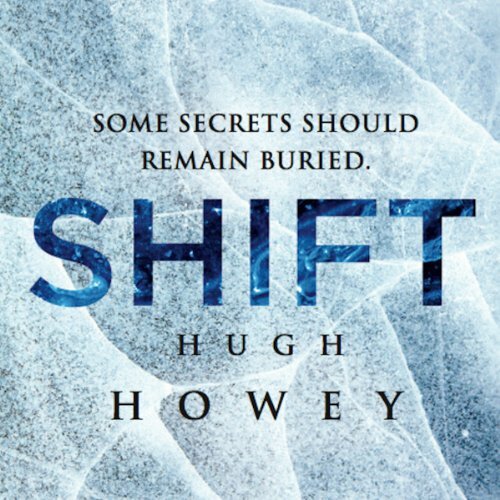 Shift is a better audio novel than Wool because the narration is so much better. With Wool I was tempted to five up many times; Shift kept my rapt attention. My next review will be of Dust which ties up Silo Saga. Wool is already a legend in self-publishing, a short story going viral, putting its author on the map, leading to an omnibus edition of seven connected stories, subsequently leading to a trilogy of omnibus volumes. Wool is the world-building portion of the Silo trilogy, depicting a dystopian future of a tightly controlled, strictly caste society within a completely enclosed underground bunker of massive proportions, called a silo. Shift, the second omnibus collection, is a prequel to Wool that explains much of what led to the status quo of silo life in Wool. Originally written in three parts (First Shift, Second Shift, Third Shift), each equal to a novel of 200+ page length, Shift shows us how and why the silos were built and organized, how they evolved over several centuries, how the events of Wool fit into the wider scheme of things. 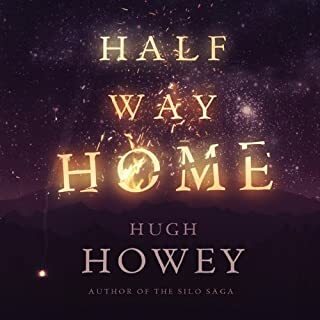 Much of the attention has been directed at Howey's success story as an independent author and at his creative world-building in Silo. What I believe makes it work so well for him and for his readers is his patient, meticulous approach to crafting his story. He focuses initially on character development, allowing him to reveal his world bit by bit, never overwhelming us with exposition or detail. There is a reason why this is the tried and truest method of storytelling. Because it works. We learn of a new world by first getting to know its people, seeing things through their eyes. Our reward is a series of micro-reveals leading up to major reveals, made more potent because we experience them every step of the way through the characters we have come to identify with. I read First Shift in print and then listened to the rest in audio. It makes for great reading, and it makes for great listening. A robust work of fiction that takes the reader behind the curtain to how the Silo world came to be. A bit slow on action but full of intrigue which helps show the complete story of the silos. A must for those who loved ‘Wool’! Mr. Reynolds' narration can be a bit slow at times but overall really helps bring the story to life! I was disappointed that Wool Omnibus was not read by a narrator who was as good as the material so I found it a real pleasure to listen to Shift Omnibus, an even better book IMO, read by the wonderful narrator of one of my favorite series, Riyria Revelations, Tim Gerard Reynolds. 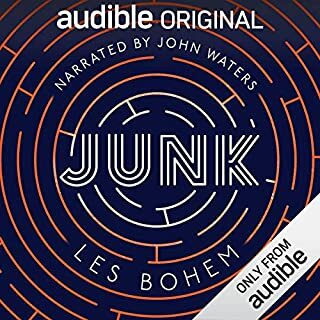 This is what audio books are all about for me; take a great book, paired with an appropriate great voice and then revel in the synergy of listening to a good story made even better in the telling. If you liked Wool, you will almost undoubtedly enjoy Shift because it answers so many questions presented in Wool. Personally, I liked Wool a lot, but I really loved Shift. It is hard to decide how much of that is Howey's writing which has gotten ever more fluid as the story evolves and how much is the great narration by Reynolds. Probably some of both. 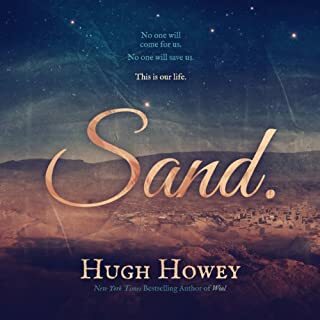 Howey writes in a style that is very good for audio because he uses a lot of descriptive language; the man can truly paint a vivid picture. EX: Howey describing a character trying to shake off the effects of cold sleep; "Thoughts and memories reluctantly assembled like exhausted soldiers roused from their bunks in the middle of the night and told to form ranks in the freezing rain." And, Reynolds is one of those narrators whose voice pulls you in until you are not really conscious of the narrator at all so the story just flows and you get pictures in your mind almost like a movie. Although Shift is labeled a sequel to Wool, it is actually almost entirely a prequel (the time periods of the two books start to overlap toward the end of Shift) and provides much of the explanation for the evolution of the "Wooliverse". It would be a crime to give much of the plot away because Shift is just chock full of those "AHA moments" when you suddenly understand something that didn't make sense or was confusing in Wool. I love being witness to real craftsmanship from an author and I could feel it all the way through Shift - Howey mapping out how this crazy society that I saw in Wool could ever have happened - AND making me believe it! Great characters, suspenseful plot, wildly vivid settings, and a first-rate narrator - what is not to love about this? Can't wait for Dust (the next, last?, in the Wool series) scheduled to be released in August. Fingers crossed that the audio version is released at the same time with this same narrator! Is this the book for you? If you're considering "Shift" chances are you read and liked "Wool". I don't like sci-fi and have little patience for immensely long books, but enjoyed this one. Know the book is extremely slow to develop, written in the third person narrator, and jumps time periods-causing a little confusion. Brush up on the key points of the first book if it's been a while. It's worth the trip to continue this story to the days days before "it" happened with the character Donald and his unwitting role in the machinations of a corrupt political agenda. At the very end, the characters and premise from the first book finally merge. I saw a lot of reviews that complained that there was too much detail or too many unnecessary plotlines in this sequel. I didn't think so at all! I felt each chapter brought a little more life to the world and the series as a whole. Were the years with Solo's "friend" necessary? Absolutely not. Did I love them? Absolutely. If you're reading this series for the excitement and the mystery-solving of Wool, I can see how Shift is a disappointment. If you liked Wool because of the characters it introduced and the world it created, I think you'll find Shift just as entertaining. I was really disappointed with the narration, however, because I loved Reynolds in the Riyria Revelation books. Sadly, he just wasn't a good choice for American accents. The southern Georgia accents were particularly jarring and sometimes slipped into something sounding Scottish. How many times in one books can you write the word "Palm"? Every single painful occurrence will stand out in this audiobook. Incredibly annoying. The story is good, but you will never think of the word "Palm" the same way ever again. I would have trimmed the content down a bit. I liked how much detail there was, and I also liked how the whole point of the book seems to have been depicting people who were completely dead inside and just "phoning it in" for their jobs and lives, but I feel like it dwelled on that bit of atmospherics for almost the entire book. A good premise, but it needed to be more concise. As it was, "Shift" ended up making me feel like the characters, and the only thing keeping me listening to "Shift" was my long morning commute. So it was already a part of my ritual, and there was no point in changing it. I guess that makes me exactly like the characters in "Shift." I loved "Wool" immensely. I loved every single character in "Wool," even the "bad guys." I even loved the romance that people seem to like protesting about. After finishing "Wool," I got "Shift" as soon as I could, anxious to spend more time in this world. While I like how "Shift" answered many of my questions about "Wool," I didn't like the long slog and I didn't care about any of the characters nearly as much as the denizens of "Wool." I especially didn't care about Washington DC in the above-ground near-future (which populates about a third of the book). Would I have been so harsh on "Shift," if it didn't come after "Wool"? I'm not sure. I think much of my criticism boils down to "it wasn't as good as 'Wool,' which was excellent." The amount of time it took to relive "Solo's" life in the silo and the exhaustive descriptions of his washroom decorum or lack thereof was simply a waste of time. I love cats but the pages and pages of how he fell in love with a cat could have been better spent on Donald's relationship with his sister, how he manged to keep her existence quiet or what came of the drones. It all could have been condensed or shortened from 100 chapters to maybe a quick 20 chapter epilogue or maybe a bonus feature to people purchasing Wool in digital copy. I love how this second book expands upon the first, so that you get a wider snapshot of what's going on in this world. I highly recommend this whole trilogy! Narration was excellent. I think an abridged version of this book would be better. Unlike Wool, I found myself drifting off for long swathes of this book. It doesn't have the same suspense driving it forward and there are plot developments that just shouldn't be there. Unsure whether I'll buy the next book. soooo slow and too much irrelevant detail.